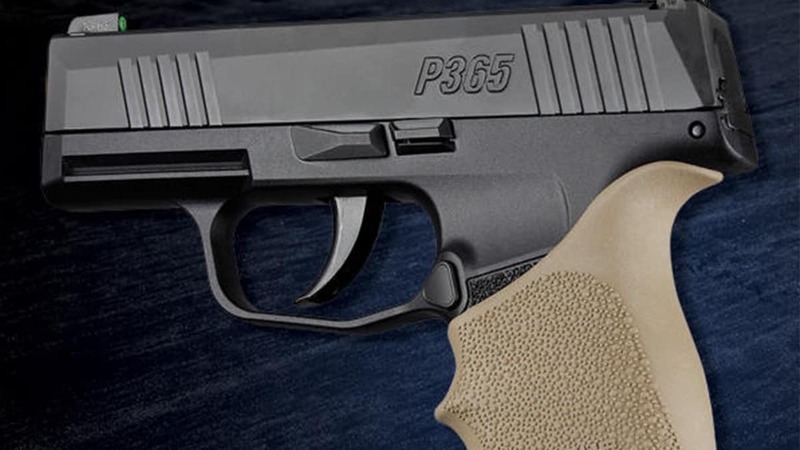 Hogue adds the Sig Sauer P365 to its list of handgun grip models, introducing the HandALL Beavertail Grip for the P365. Installed by slipping the HandALL over the Sig P365’s frame, the HandALL Beavertail eventually seats int position offering a more comfortable fit for shooter’s hands. The HandALL is equipped with finger grooves that deliver a more instinctive grip on the gun, according to Hogue. The HandALL Beavertail is constructed from a durable thermoplastic elastomer compound, allowing the rubber to age “very gracefully” maintaining a tacky feel through its lifespan. 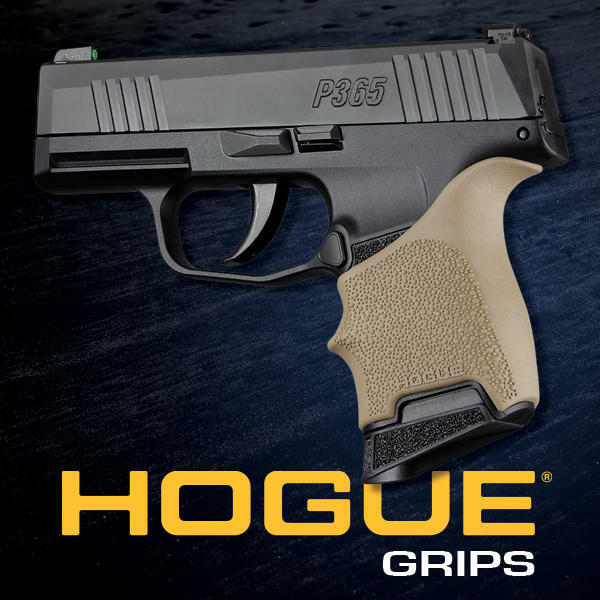 Hogue says the grip will not harden or crack with use, keeping its integrity over time. Using a Cobblestone texture, the HandALL aims to provide a non-slip, non-irritating style. Available through Hogue in black, OD green, flat dark earth, aqua, pink and purple the HandALL Beavertail for the Sig Sauer P365 is priced at $10.95.